The 2019 Dodge Ram is an all-new pickup and the first major redesign for the auto since 2009. If you put the all-new Ram side by side with the previous model year, you will notice it is raised and more squared off in the front. There is also a new aluminum hood, and the grille has gotten slimmer. Additionally, the badging that used to sit on the door is now on the truck’s hood. If you get the chance to look at the two models, you will also notice that the cabin of the 2019 Ram has gotten larger. For a better feel for the 2019 Dodge Ram, you need to do more than just compare it to its predecessor, so take a closer look. 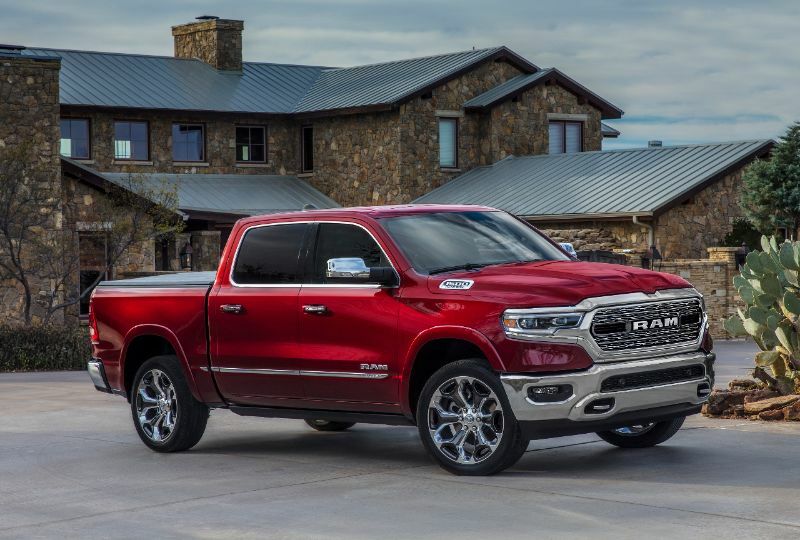 As always, the 2019 Dodge Ram delivers an overwhelming number of configurations. There are six trims available across the country, plus another one in Texas only. Choose a Crew Cab or Extended Cab and one of two-bed lengths. A Regular Cab will be added in the future. You can also choose a 3.6-liter V6 or a 5.7-liter V8. The V8 is a familiar powertrain for those who have driven past Ram trucks. It has 401 pound-feet of torque and 395 horsepower. It is smooth with good acceleration and, when configured properly, can tow as much as 12,750 pounds. You can also opt for the mild-hybrid system known as eTorque to add 130 pound-feet of torque to the V8 or 90 pound-feet to the 305-horsepower V6. There is an available air spring suspension on all trims, which lets you move the suspension up several inches by pressing a button. This is an ideal feature for those who will want some added ground clearance. 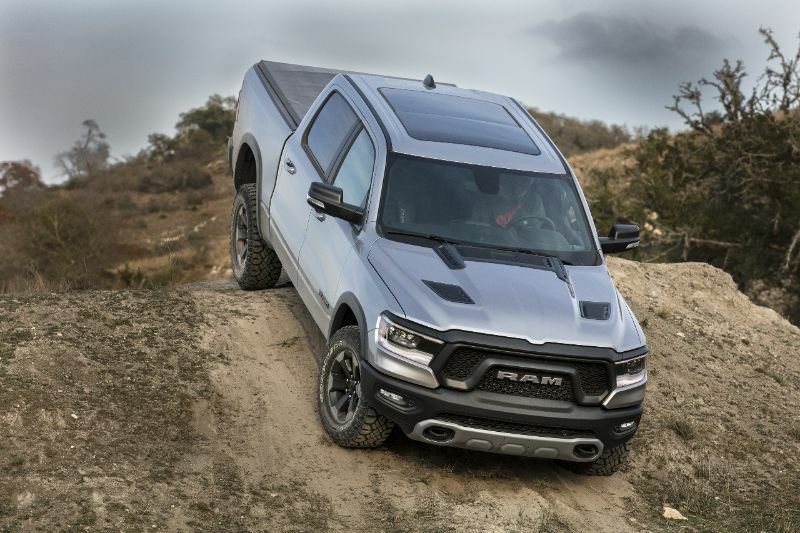 However, those with plans for regular off-roading may want to go with the Ram Rebel with its electronic locking rear differential and standard inch-taller coil spring suspension. Every Ram offers the option of four-wheel drive unless it is standard. The Extended Cab always comes with a 6-foot-4-inch truck bed, while the Crew Cab also offers a 5-foot-7 option. The available Ram Boxes are incredibly useful. You also can enjoy flexibility from the standard cargo tie-downs and bed liner plus available in-bed lights. There is also plenty of interior storage throughout the cabin. Sitting inside the cabin of the latest Dodge Ram will make you forget everything you thought you knew about pickups. The Crew Cabs have truly incredible rear legroom, while the Extended Cabs have acceptable space. The front can be a three-person bench or two bucket seats, the latter of which includes a highly configurable center console. The quality of the interior is impressive overall, with the base Tradesman being the only trim to offer hard plastic trim. The top-of-the-line Laramie Longhorn even has real wood trim panels. 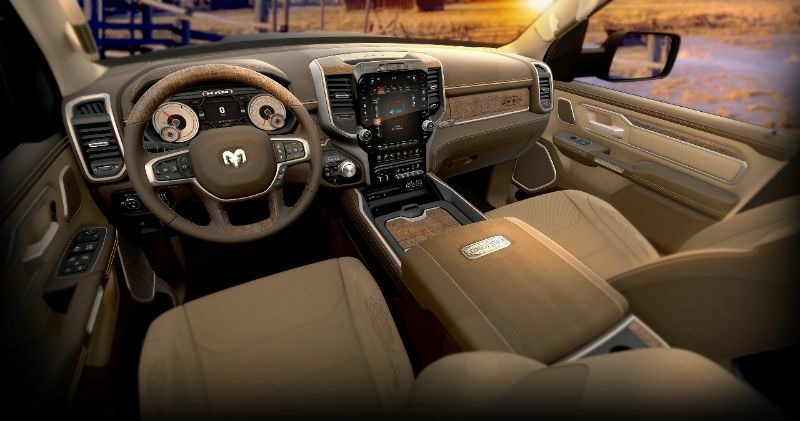 In terms of tech, the base 2019 Ram has a 5-inch touchscreen for the infotainment system. However, most use a 7- or 8.4-inch version with Android Auto and Apple CarPlay, plus an intuitive interface. There is even a 12-inch screen available that has split-screen functionality.